Dr. Huntley is board certified in internal medicine and was awarded his medical degree by the University of Connecticut School of Medicine. He completed his internship and residency at Waterbury Hospital in Waterbury, CT, a Yale-affiliated hospital, where he also was appointed chief medical resident. He has a teaching appointment as assistant clinical professor of medicine at Yale University School of Medicine in New Haven, CT, and is a Fellow of the American College of Physicians. 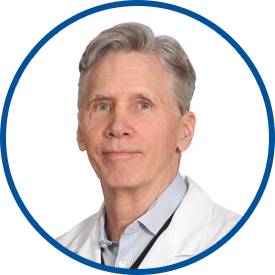 Dr. Huntley’s other positions include medical director, Notre Dame Health and Rehabilitation Center in Norwalk since 1988, and attending in medicine, Active Community Based at Norwalk Hospital. In addition, he is principal investigator in office-based Clinical Trials. Previously, he was an internist with the Norwalk Medical Group since 1987. Always great to get advice that doesn't immediately require medication and continue with a moderate approach. Dr. Huntley listened and looked at me while I was/he was talking. That is unusual these days-- I really appreciate a physician listening and talking WITH me. I highly recommend my Primary Care Provider to others. i have been with Dr. Huntley for over 20 years. he is friendly, courteous, thorough, knowledgeable, and caring. i have several medical issues and he oversees and coordinates my care in conjunction with specialists. i always feel that he is looking out for my welfare and genuinely cares about my health and about me as a person. i hope he never retires! Dr. Huntley is a true professional. Attentive and courteous! Dr. Huntley is wonderful! Always kind, caring, and compassionate!